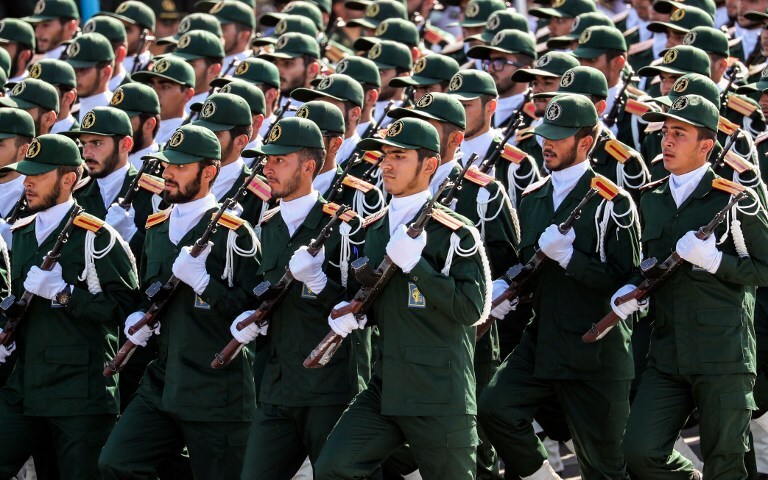 Iranian lawmakers warned on Sunday they would respond in kind if the United States designated their country’s Islamic Revolutionary Guard Corps a terror group. On Friday, the Wall Street Journal reported such a move by Washington could come as early as Monday and would be the first time the US has designated a state entity as a terrorist organization. 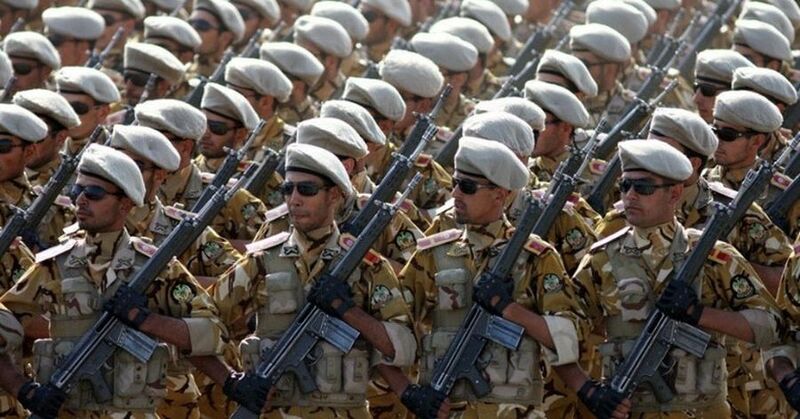 Responding to the report, a vast majority of lawmakers in Iran’s parliament issued a statement threatening to designate elements of the US military a terror group, state-run news agency IRNA reported. According to IRNA, the lawmakers also called the IRGC one of Iran’s greatest achievements since the 1979 Islamic Revolution. The US has accused the IRGC of supporting terror groups and militias throughout the Middle East that threaten allies such as Israel. The Wall Street Journal, quoting unnamed officials, said US President Donald Trump’s administration would announce the long-mulled decision as soon as Monday and that concerned defense officials were bracing for the impact. Reuters said three US officials confirmed the plan. “If the Revolutionary Guards are placed on America’s list of terrorist groups, we will put that country’s military on the terror blacklist next to Daesh [Islamic State],” Heshmatollah Falahatpisheh, the head of the Iranian parliament’s national security committee, tweeted on Saturday. The Islamic Revolutionary Guards Corps was formed after the 1979 Islamic Revolution with a mission to defend the clerical regime, in contrast to more traditional military units that protect borders. It exists in parallel to Iran’s regular military. The Revolutionary Guards have amassed enormous power within Iran, becoming owners of significant industries and other economic interests on behalf of the regime. The Guards’ prized foreign operations unit is the Quds Force, named for the Arabic word for Jerusalem, which supports forces allied with Iran around the region, including the regime of Syrian President Bashar Assad and Lebanon’s Hezbollah terror group. The Trump administration has already imposed sweeping sanctions on Iran after withdrawing last year from an international agreement under which Tehran scaled back its nuclear program in exchange for sanctions relief. A foreign terrorist designation would make it harder for businesses and institutions to interact with the IRGC and its assets, as many such interactions would carry punishments under US law. The Pentagon and CIA reportedly have reservations about the planned move by the Trump administration, with officials saying it could increase risks for US troops in the region without doing much more to damage the Iranian economy than existing sanctions and restrictions are already doing. After attacking the PLO – as well as Syrian, leftist, and Muslim Lebanese forces – the Israeli military, in cooperation with the Maronite allies and the self-proclaimed Free Lebanon State, occupied southern Lebanon, eventually surrounding the PLO and elements of the Syrian Army. Surrounded in West Beirut and subjected to heavy bombardment, the PLO forces and their allies negotiated passage from Lebanon with the aid of United States Special Envoy Philip Habib and the protection of international peacekeepers. The PLO, under the chairmanship of Yasser Arafat, had relocated its headquarters to Tripoli in June 1982. It is the first time a government military entity has been branded terrorist. The US can expect Iran to retaliate at once by proclaiming the American army a global terrorist organization on a par with the Islamic State and calling on allied regimes to follow Tehran’s example, such as, for instance, Nicolas Maduro in Venezuela. Closer to home, Syrian President Bashar Assad, Hizballah’s leader Hassan Nasrallah and the pro-Iranian militia conglomerate in Iraq, may well act in solidarity with Iran, in which case, violent clashes may erupt between the proxies Iran has scattered across the Middle East and US forces. Conscious of the threat, on Friday, April 5, American army units in the region were placed on the alert for Iranian-orchestrated reprisals.